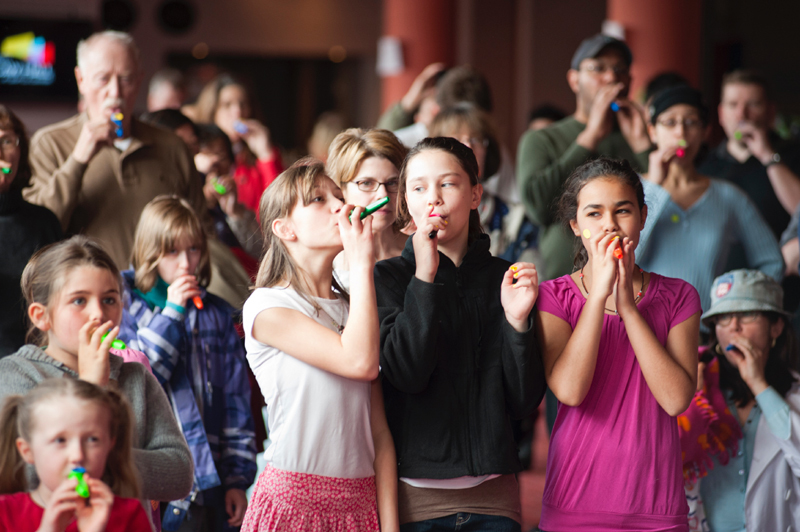 Join us and “Make Some Noise” at our free, family-friendly McCaw Hall open house next Saturday, August 3! This special event, taking place the day before opening night of Der Ring des Nibelungen, kicks off a year-long celebration of Seattle Opera’s 50th Anniversary. Open house guests will have an exclusive opportunity to subscribe to the four operas of Seattle Opera’s 50th Anniversary season for only $50. In the afternoon, musicians from Seattle Opera’s Youth Chorus and the Seattle Youth Symphony, together with Seattle Opera’s professional singers, will present Seattle Opera’s complete Our Earth opera trilogy, with music by Eric Banks and libretti by Irene Keliher, conducted by Stephen Rogers Radcliffe. These operas, perfect for children of all ages, follow a quest for missing salmon from the marine environment of Puget Sound all the way upstream to a mountain watershed. 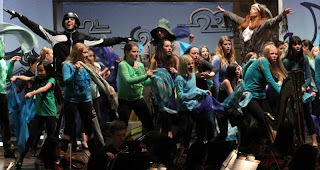 In the first opera, Heron and the Salmon Girl, animals such as Heron, Orca, Turtle, and the fisherman Tayil travel from the open water of the Sound to an estuary in search of the missing fish. Meanwhile Alitsa, a young woman who is also a salmon, searches for her brother, Parr, who has left their small fishing village only to fall ill in the big city. In Rushing Upriver, the second opera of the series, the journey continues. Salmon siblings Parr and Alitsa head upstream, searching for a unique white flower with healing properties, closely pursued by a hungry coyote, a mischievous raccoon, and a wise raven. An eagle, frog, and owl from east of the Cascade mountains help Alitsa, Parr, and Tayil solve the mystery of the missing salmon in the final opera of the trilogy, Every River Has Its People. Each of these English-language operas is approximately 30 minutes long.